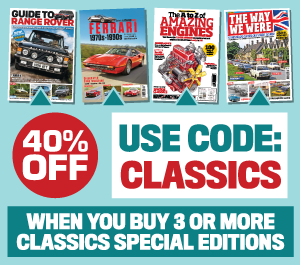 An amazing 192 classics can be found in our latest issue! The collective roar of a hundred engines reverberated around the high speed circuit at Millbrook, as they lined up to be photographed for our celebration of Britain’s very favourite classic cars. Compared with the last time we gathered together the top 100 (back in 2004) there have been numerous new entries, most notably more modern classics voted for by you. In our biggest photoshoot ever, you'll find classics of every shape and size - and a proud owner for every single one, be it a Fiat Panda or an Austin-Healey 3000. 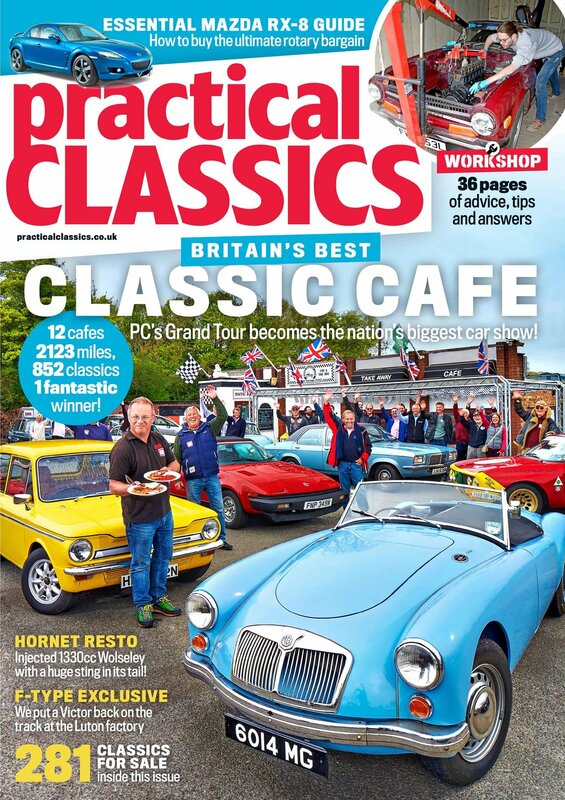 PLUS: Mike Brewer's Citroen Maserati restoration, a MkIII Golf buying guide and page upon page of technical advice and handy tips for restoring your car. We hope you enjoy reading the December 2016 issue of Practical Classics as much as we enjoy writing it! We went deep into the most clichéd of road trips: east coast to west coast USA. We’d set out in search of seedy motels, tumbleweed, moonshine, urban decay, rednecks, drive-ins, corn dogs, country music, nodding donkeys, raccoons, xenophobia and furred arteries. We hadn’t been disappointed. The idea was spawned six months earlier. A broken ankle, a frenzy of internet procrastination and a bank loan led Sam Glover to purchase the car that topped his non-fantasy dream garage list: a 1960 Chevrolet Corvair saloon. It was in Greensboro, North Carolina. Shipping it home from the east coast was the most logical option. Shipping it home from the west cost was the least logical option, demanding a hard 3000-mile thrash to Los Angeles, California. It was a no-brainer. We decided to add 2000 miles by visiting Detroit...! Danny's rover starts for first time since 1981! Happening upon a ‘barn find’ is always exciting. Extracting it with the prospect of restoration takes it to another level – it can be the source of great flights of fancy. Every time it happens we always find it a bit difficult to sleep as we plan and imagine the adventure that lies ahead. And so it was, with the 1962 Rover 80 Danny was offered for scrap value in May this year. It had lain unused in its garage lair in Finchley, North London since 1982 when Marita Ewins and her husband had stopped driving it. ‘Green Rover’ as it was known, has 71,000 miles on the clock and, as Danny pulled the boxes and bits of furniture off it, and began the process of extraction, he could see it was well worth saving…. As part of the ‘Heroes and Heroines’ theme at the NEC Classic Motor Show, we've brought speed legend Donald Campbell’s Jaguar XK150 in a celebration of the great man, fifty years after his tragic death on Lake Coniston. Here, that very Jag is pictured alongside the ill-fated boat. It was around this time half a century ago that Campbell was testing Bluebird K7 out on the lake. Donald, we salute you. What a hero and a true gentleman. James finally got his Austin Ambassador started. After 25 years of the car sitting in a barn, it moved under its own power for the first time. But can it make it to Switzerland, in our biggest adventure yet? Our Theo gets to grips with his magnificent Princess, starting with the brakes. But can he get it going...? Sam Glover bought a remarkable Murad, after much searching. You can read all about it in the latest issue of Practical Classics..